J and I bought our packs this weekend. A ‘100 Day Present’ of sorts. We’ve discovered, as we plan on carrying everything we own on our backs for the next year, that there is much to think about when considering the pack to carry it all in. Size is one consideration. At first I wanted the biggest bag I could carry (80L) as I worried about not having everything I might need with me. When I realized how heavy this might be I quickly switched to wanting the smallest bag (45L) possible. In the end, not wanting anything too heavy or too restrictive, I chose a bag in the mid sized range (60L). The next biggest consideration is whether to get a top-loader or a front-loader. 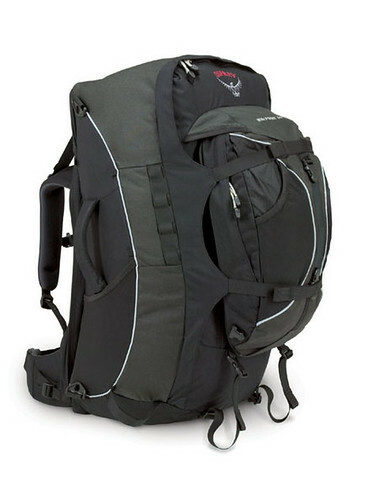 Top-loaders are typically thought to be for hiking and trekking. They load, just as the name suggests, from the top only – a big tube of a bag. Advantages are security (only one entry point), load stability (as it is packed tightly) and narrow profile. The disadvantage is having only one entry point – having to unload the whole bag to get to that gadget at the bottom. Front-loaders are also known as ‘Traveller Packs’. They load, wait for it, from the front – a zipper on the front panel allows the bag to be opened kind of like a suitcase. Advantages are accessibility, interior strapping and the ability to tuck the backpack straps away for airline use. Disadvantages are security (although the new bags have much better locking options) and they generally have a wider/thicker profile. I’m a huge fan of pockets so that is something that I was definitely looking for (and it guided my final choice). I like to have somewhere to put all the little sh*t that doesn’t have a place to go. We’re planning on using some form of packing cube to help with organization but there is always stuff that needs a place – both inside the pack and outside. Strapping is also important – this includes the harness straps used the carry the pack and the straps used to load more gear on the pack. The harness must distribute the load comfortably and be easy to adjust. I also like the pack to have other exterior strapping to attach items such as sleeping bag or sleeping mat. In the end, we both decided on front-loading packs and we both agreed that we should not have the same bag (a little too cutesy for us – just one small step to that cute old couple in town here that dresses identically and parades around town!). Jason opted for the Osprey WayPoint 60 as his main pack but will ditch the attached day pack in favour of his current MEC Spirit Velo 25 Daypack. 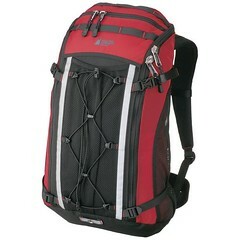 The MEC daypack is a little large but will easily fit the laptop plus all required daily items. He has used this pack for quite some time and loves it so it has to come. And I chose the MEC Pangea 60. I will use the attached daypack too – it’s big enough to carry stuff and snacks yet small enough that I will actually want to carry it. We put a lot of thought into which packs to choose but, in the end, only time will tell. Thanks to those of you that offered advise and answered our questions – I’m a huge fan of learning from other people’s research!! They look like great packs, the most important piece of gear. Great job on getting the bags. We begin our one year RTW in August 2009. 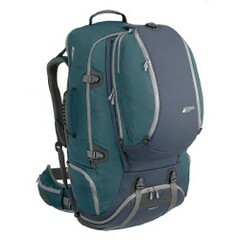 I did the same thing, I first bought an 85L pack but exchanged it for a 65L (45L backpack w/ 20L zipped day backpack). this will minimize the need to check luggage – a big thing for us! Check out this site http://www.onebag.com – travel the world w/ one bag. I hope you’ll find it useful. I saw a couple on the local news that started a project and website after living out of backpacks. They decided that if they could live without stuff on the road then they could do it in their home too. They both look like great choices, it’s such an important decision to make, possibly the one travelling decision you could most easily come to regret if you get it wrong. It’s also quite nice to feel smug when you hit the road and see all the backpackers struggling away with their 80 and 90 litre packs, while you’re doing perfectly well with something smaller and lighter. I was hoping for the matching. HA HA Good choices. I just found your website, and I think what you’re doing is great! I love the term you used – ‘Flashpackers’. That’s exactly who we are too. We traveled in Mexico and Guatemala with packs that were “carry-on” size. We never had to check baggage or have our bags carried on top of sketchy buses. It’s obviously easier in hotter climates, but I figure you can always buy things as you need them. And nice pack choices by the way. I look forward to hearing about your trip, and I can’t believe how organized you both are!! I’m a big fan of front loading bags with lots of pockets. If you’re in an area and concerned about security, use twist-ties (is that what they’re called) around your zippers. I won’t prevent a determined thief (nothing will) but it makes it a bit more difficult to open and reach in the bag. I can also act as a warning if the ties are not obvious to the potential thief. I’ve been living in Buenos Aires for the last 3 months and my budget has been 40 pesos a day… which is less than CAN$15. Of course this is for one person, but it’s a budget of living simply, not doing anything too extravagant and cooking for myself. I have a food budget of CAN$3.50 a day and I eat well: lots of fruit and vegetables, and a good serving of meat if I so desire. I haven’t moved around too much yet, but travel by bus isn’t too expensive (relatively speaking) – the buses here are the best in South America!… And things are cheaper if you are prepared to hitch-hike. This will also help through Europe. For the record, Germany is probably one of the easiest places I can think of to hitch hike . So much so, that I would go to a gas station to find 2 or 3 other people there also looking for a ride. It was safe, cheap and easy. A friend and I hitched from Switzerland to Istanbul in 7 days and we spent about CAN$40 between us. Yes… CAN$40. Also, please let me know if you want good recommendations for a trekking company in Nepal! Hello! 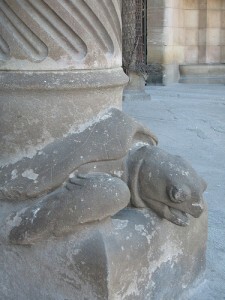 We’re enjoying your blog. We also had much deliberation on our “new home.” I think you made some great choices; a couple people we were traveling with in Central America had the packs you chose and seemed to really like them. We opted for the (matching, yikes) Osprey Sojourn and love them! Yes, we’re dorks with wheels but they were great. They rolled through almost any condition and when we couldn’t, the suspension was very comfortable and balanced. Have fun continuing to prepare! We will definitely be keeping up with your travels. Thanks for the comments everyone! I’m glad you all agree that the packs are right – we’ll be getting to know them very well in the next year! Oh, the Osprey Waypoint 60. The memories! The times we shared! It was a great bag. My husband and I went through the frustration of bag shopping a couple months ago. We both wanted to take bags that were front loading carry on size but most importantly wanted the bags to fit us perfectly and be as secure as possible. I found the bags with a women’ s fit felt way better then the bags that were not and thus that really ended up limiting my options. I ended up with an Eagle Creek Explorer Womens LT. It feels great on me and has great reviews. You would not like the bag at all as it barely has any pockets. I found some other women’s fit that had more pockets but they just didn’t feel as good and I was okay with making that sacrifice as the bonus to less pockets is higher security. I will need to use packing cubes to make some organization. My husband didn’t have as easy as a time finding a bag. He has a really long back and thus all the carry on size bags sat too high on him, even when set at the highest adjustment. So he had to sacrifice size for comfort and ending up with the MEC Walkabout which combines with day back 70L. It’s dimensions will be too big for carry on. But my husbands back and comfort is more important then that extra 30 mins we will have to spend at the airport waiting for his bag. It’s a scary thing to buy as you really have no idea how it will treat you until your out there in the brink of it. We hope we made the right decisions for us. As really that is what it comes down to. What’s best for someone else is not always best for you. BTW, Your site looks great, you sound way more organized then us and thus have been helpful with our own preparations!